Angel ODay and Sam Simeon of the ODay &amp; Simeon Detective Agency are asked by Torso Von Morso (CEO of the Pindar's Lingerie Collection) to investigate the case of disappeared lingerie model Bambi Dextrous. While cracking sexual jokes and occasionally losing their clothes, Angel and the Ape question suspects such as girl photographer Bahbi Ganoozsh, the model Saliva, and Bambis ex-husband, the construction firm owner Dwight Kaywight. At the construction site, they finally find Bambi – dead inside a block of concrete. 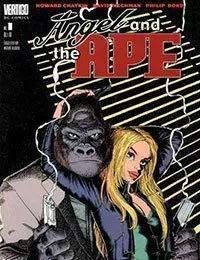 The story also introduces us to Angel and the Apes secretary, the vulgar woman B.J., and Police Detective Komicz.